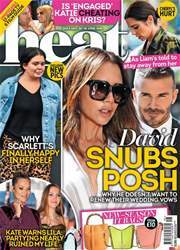 In this week's issue of heat – find out why Sam's quit TOWIE and why Kim's in tears after a cruel A-list backlash. Plus, Dani lays into Lockie – and he fights back! Miaow. And LOADS more news packed in.